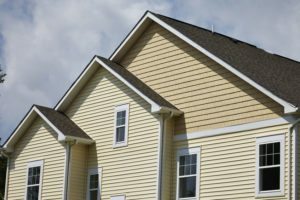 Considering the Best Types of Siding: Is It Worth to Spend Money on Vinyl Siding? The cost of vinyl siding is a lot less than most types of siding currently available on the market. Vinyl is cheap to buy and easy to install, so you won’t go through much of a hassle when it comes to using it for fixing up your home at a short notice. This is also one type of siding that can mimic a lot of other designs. Some vinyl products resemble wood, while others can also be made to look almost exactly like concrete. There is a misconception that anything vinyl is flimsy. However, the truth is there are vinyl siding products that have a lifetime warranty, and there are many documented cases of properly installed vinyl siding lasting for well over 50 years. Finally, unlike most types of siding, vinyl is virtually maintenance-free. This means you won’t have to constantly check it for damage or even clean it. It doesn’t rot, it resists pests like termites, and a basic cleaning job once a year is more than enough to sustain it for decades. It’s probably why most of the great roofers in Dallas install this product. As you can see, vinyl siding actually has a surprising array of benefits even when compared to some of the best and most expensive materials on the market. Despite its lower cost, you’ll find you get a lot more for your money than you’ve bargained for.